Where are the Best Scenic Short Walks in Nelson Bay? Lover of exploring, family, food and fun! 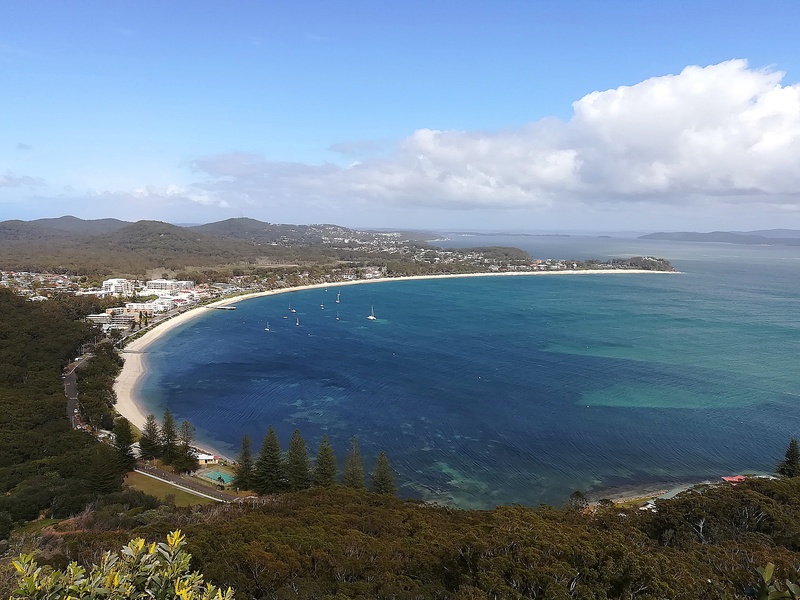 Nelson Bay is a popular tourist town in the Port Stephens region, with thousands of people flocking to its shores every year. Many visitors travel up from Sydney for a holiday or weekend getaway, whereas others often stop at the bay for a break if they are driving north or south along the highway. It is well-known for its relaxed atmosphere, amazing seafood, fishing, snorkelling and views of pure white sand against blue, crystal-clear water. For many people who visit, or live here permanently, the perfect way to start the day is to get up at sunrise and go for a scenic walk along the coastline, or simply take a relaxing stroll along the beach. Everyone finds their own favourite scenic walk to do around the Nelson Bay region - which one is yours? If you have one that you love to do, please leave a comment at the top of this article and share your discovery. These are my personal go-to scenic walks in the region, which I walk most weeks of the year. If you want scenic, these are scenic! Tomaree Head Summit Walk is the most popular scenic short walk in the region located at Shoal Bay, just a few minutes drive from Nelson Bay. It is a short but very steep walk up to the top of Tomaree mountain, to experience the most sweeping and stunning views in the region. 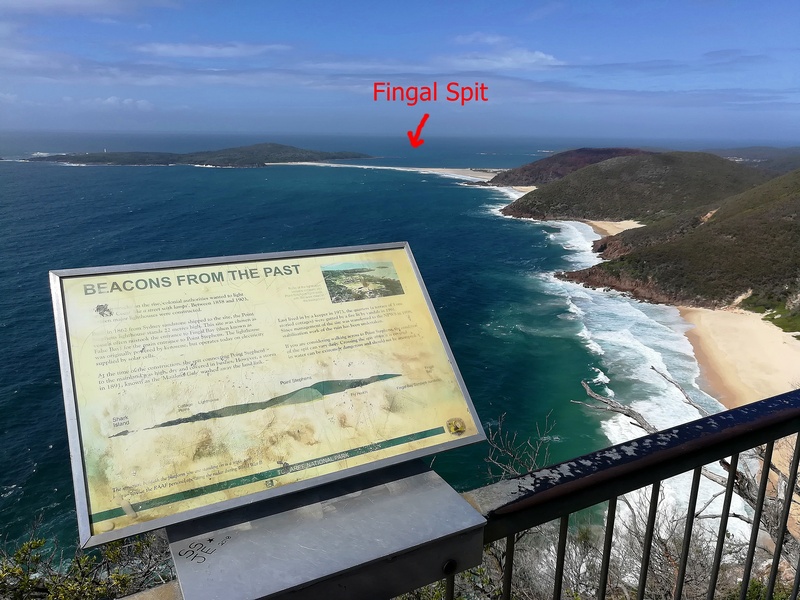 It is often mentioned and photographed in various Port Stephens brochures and advertising, so you will see both locals and tourists on the path, huffing and puffing to get to the top. If you have the energy, the view is worth every step! See here for a full article. 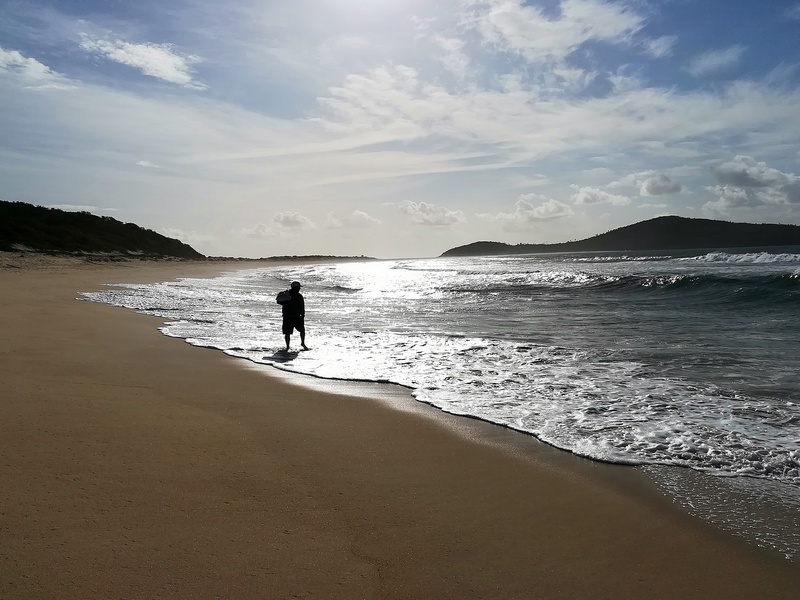 If you are looking for another walk nearby, also check out the Zenith Beach to Wreck Beach Walk, which begins just up the road from the Tomaree Heads Summit Walk car park. Birubi Beach is a surf beach that is located 15 minutes from Nelson Bay. If you like your walks to be flatter with a chance of getting wet, then why not go for a walk along the beach starting from Birubi Beach Surf Club and keep going as far as you can before turning around. The beach is a staggering 32 kilometres long, with the largest moving sand dunes in the Southern Hemisphere behind it, so you can walk for as long or as little as you like. 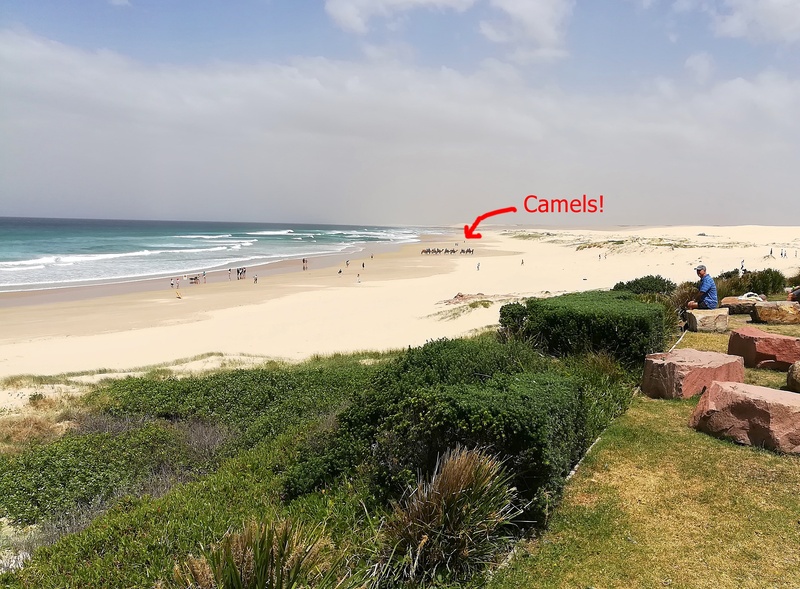 What I personally enjoy about this scenic beach walk is the surprising things you see along the way such camel rides on the beach, horses, 4WDs, people fishing and quad bikes up in the dunes. See here for a full article. Nelson Bay to Little Beach is a coastal path walk, which begins from d'Albora Marinas in the heart of Nelson Bay. 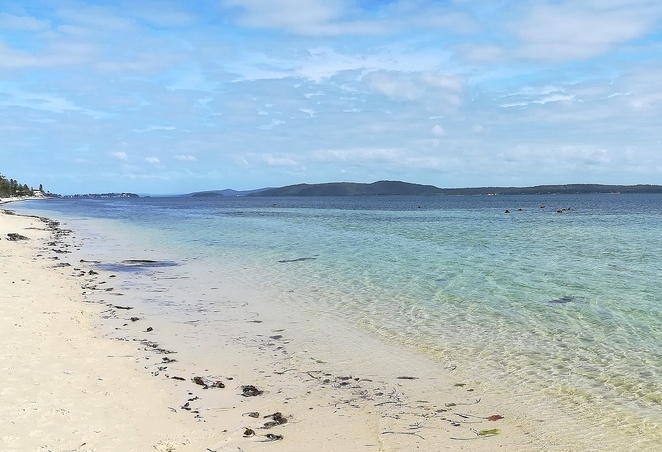 This walk follows the water past Nelson Bay, up and around the road past Fly Point snorkelling area and to the scenic Little Beach, further around the headland. It isn't a hard walk, but it is certainly a scenic one, with many locals enjoying this walk each morning. See here for a full article. 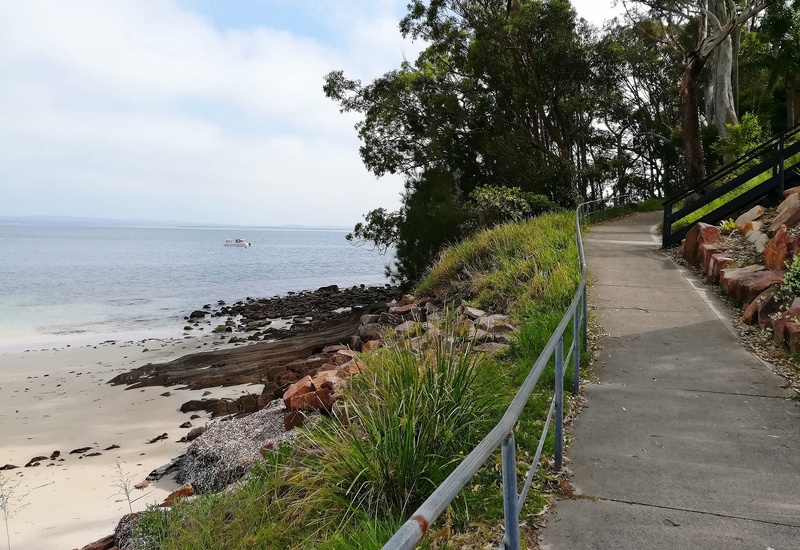 Nelson Bay to Bagnalls Beach also begins at the d'Albora Marinas except it follows a path in the opposite direction from the previous coastal walk. This walk follows the headland around to Dutchmans Beach and then onto Bagnalls Beach - both of which are renowned for their blue water and family areas to swim. There are also plenty of trees overhanging the pathway, which creates a cool respite if you are walking in the hottest part of the day. See here for a full article. This list wouldn't be complete without also mentioning all the other 26 bays and beaches in the Port Stephens region, which are all simply beautiful to walk along each morning. If you drive to the closest sandy beach or bay, you could easily spend your morning walking along the beach and then around the headland to discover the next one. As well as the quiet bays, there are also all the surf beaches in the area - all of which have long stretches of sand to walk along, which is good exercise if you walk on the soft, squeaky sand. When is the Best Time to View the Kiama Blowhole? What are the Best Public Gardens to Visit in the Blue Mountains?